More and more Korean pharmaceuticals are jumping into developing new drugs, raising the number of clinical trials done in Korea in the past five years. Five Korean pharmaceuticals -- Viromed, Hanmi, Sillajen, Celltrion and Tego Science -- have been conducting phase 3 trials for their therapies. “More domestic pharmaceutical companies seem to be focusing on developing new drugs. The number of phase 1 and 2 trials is also increasing because Korea has been raising its competency regarding clinical trials,” said an official at Korea Research-based Pharma Industry Association (KRPIA). “Globally, new drug development projects have decreased in number. Despite the drop, Korea has maintained its level relatively well in the number of clinical trials,” the official added. Against this backdrop, some Korean pharmaceuticals have launched phase 3 trials. The five conducting important phase 3 trials include Viromed, Hanmi, SillaJen, Celltrion, and Tego Science. 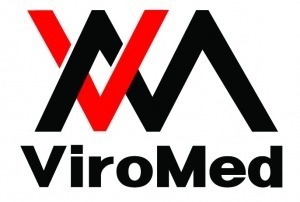 Viromed has been busy with phase 3 trials for its plasmid DNA-based gene therapy, VM202. The drug contains hepatocyte growth factor (HGF) genes and has proven to be effective in regenerating peripheral nerves after neuronal injury as well as for diabetic neuropathy. The firm was able to carry on its studies for VM202 after winning a patent fight with Reyon Pharmaceutical. The company is now conducting phase 3 trials in China with its Chinese partner Beijing Northland Biotech. The latter completed producing 500 liters of NL003, the Chinese version of VM202 that uses the same raw material called pCK-HGF-X7. The Chinese company completed phase 2 trial of NL003 and received approval from the China Food and Drug Administration to go ahead with the P3 trial in October last year. Because plasmid DNA has yet to receive approval worldwide, establishing a mass production platform is mandatory for entering phase 3 trials and commercialization. While Beijing Northland has been working to do so in China over the past several years, Viromed said it also made strides in the U.S., securing a DNA production plant in San Diego, Calif.
Hanmi Pharmaceutical is nearing the clinical trial finish line regarding Rolontis, its low blood neutrophils treatment. Hanmi inked a deal with U.S.-based biotech Spectrum Pharmaceuticals to develop the bio-better of Amgen’s Neupogen. Hanmi has used LAPSCOVERY (Long Acting Protein/Peptide Discovery Platform Technology) to reduce dosing frequency to once every three weeks. The firm presented clinical trials results for Rolontis at the 2018 American Society of Clinical Oncology (ASCO) conference in June, showing the therapy pitted against Neulasta was not inferior. The company is processing through the pre-biologics license application (BLA) to win the approval by the fourth quarter of this year. Sillajen is rolling up its sleeves to conduct a phase 3 clinical trial on oncolytic virus therapy Pexa-Vec in China, according to industry sources. The firm announced that it would recruit Chinese patients for a phase 3 study of Paxa-Vec via the China Drug Trial, a clinical trial information site run under the China FDA. Sillajen’s trials are expected to take place at 24 hospitals in China, under the helm of Shukui Qin, deputy director of People's Liberation Army 81 Hospital in Nanjing. The drugmaker aims to gather 600 patients for the trials and has recruited 290 to date. Sillajen plans to not only compare Pexa-Vec with Nexavar but secure data on combination therapy. Nexavar is known to be the only remedy for Chinese liver cancer patients. If the company succeeds in commercializing Pexa-Vec, it will be able to get access to 200,000 patients in China, including those who have used Nexavar, Sillajen said. The drugmaker aims to release Pexa-Vec in China in late 2020, after completing the trials and winning approval. It also has phase 1 clinical trials underway for Pexa-Vec to treat solid cancer. According to Sillajen, the trial proved the safety and efficacy of Pexa-Vec on three patients with metastatic melanoma and five patients with liver metastasis colorectal cancer. The treatment also showed no severe side effects while also indicating a high tolerance among patients. Celltrion has been on a winning streak in expanding its biosimilar portfolio. 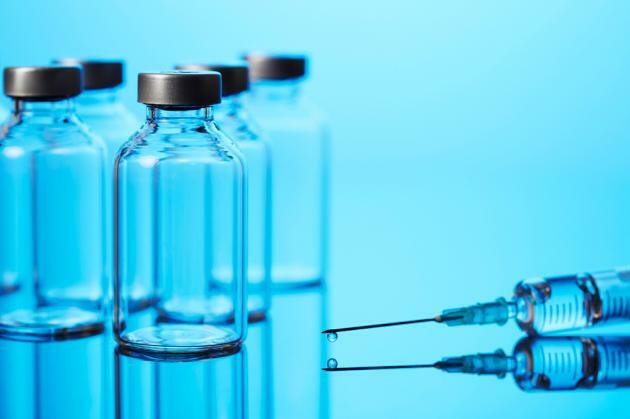 The company is conducting phase 3 trials for biosimilars for AbbVie’s rheumatoid arthritis treatment Humira and Roche’s oncology therapy Avastin. Celltrion is set to conduct global phase 3 clinical trials in about 75 sites in eight nations in the European region from August 2018. The company plans to complete phase 3 clinical trials by 2020. After completing the clinical trials, Celltrion plans to maximize its market share in TNF-α inhibitor biosimilar markets under the strategy of diversifying its TNF-α inhibitors along with Remsima, which already owns 52 percent of Europe’s TNF-α inhibitor market, along with CT-P13 SC that is undergoing clinical trials with the goal of obtaining approvals in 2019. Celltrion has completed clinical trials for the safety and pharmacokinetic evaluation of CT-P16 in Korea last year. Recently, it has applied for phase 3 clinical trials in Portugal. Starting with Portugal, the company plans to apply for clinical trials sequentially to regulatory agencies in Europe, Latin America, and other countries, and will conduct phase 3 clinical trials for CT-P16 at about 150 sites in 20 countries. Avastin, the original product of CT-P16, is an anticancer drug used for the treatment of metastatic colorectal cancer, metastatic breast cancer, non-small cell lung cancer and glioblastoma. The therapy recorded a sale of 7.5 trillion won ($6.6 billion) last year. “Celltrion is proceeding smoothly with the planned schedule for CT-P16," a company official said. "CT-P16 plans to secure differentiated competitiveness compared its competitors." Tego has been making progress with its phase 3 trial for a rotator-cuff tear rejuvenation cell therapy dubbed the TPX-114. It applied for the Ministry of Food and Drug Safety’s sign-off on the clinical trial in February this year and got the approval a month later to go ahead with the trial. Rotator cuff tear refers to a tendon rupture that occurs due to excessive use or strong impact to the muscles or tendons in the shoulder area. The condition can cause musculoskeletal, cartilage and bone diseases. TPX-114 is a treatment that injects the patient's fibroblasts into the ruptured tendons, which, in turn, induces the expression of the components of the tendon tissues and its growth factors. Ultimately, the treatment helps repair injured tendon tissues. If approved, the drug will become the first cell-based therapeutic agent for tendon regeneration. The company will conduct phase 3 clinical trials at the Seoul National University Hospital and Seoul National University Bundang Hospital.